I found this little project that Anja and Isabel just finished amusing. 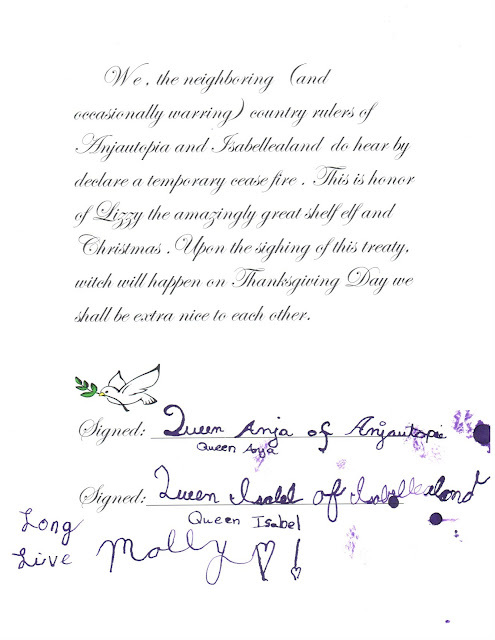 It’s a peace treaty between their respective imaginary worlds, “Anjatopia” and “Isabellealand”. 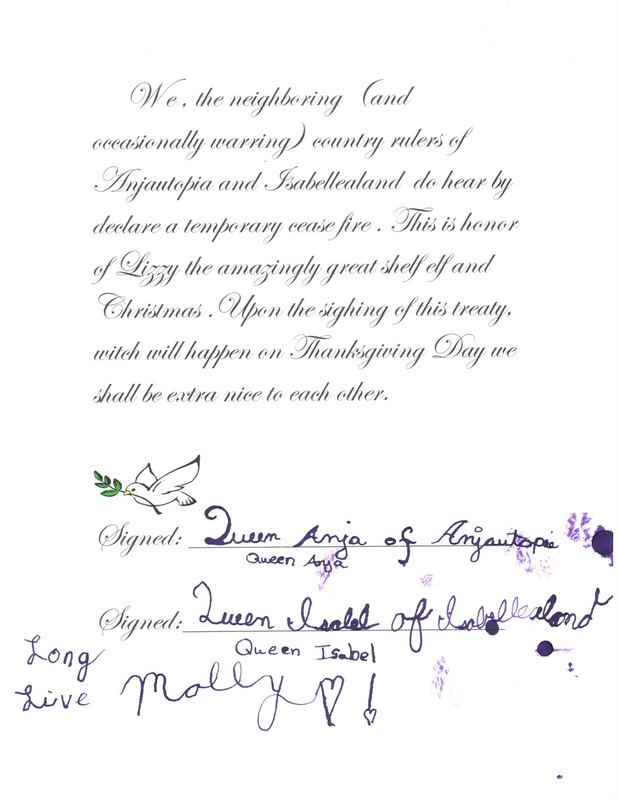 This treaty is in honor of Lizzie’s imminent arrival, she is our Elf on the Shelf who informs Santa of all children behaviors from now until Christmas.